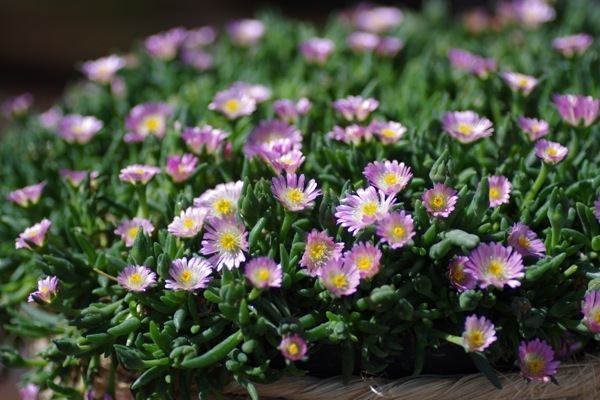 The Jewel of Desert Delosperma's are an absolute breakthrough. They make your garden smile. 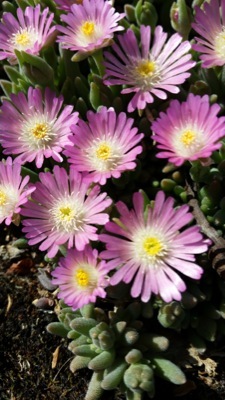 A new generation of Delosperma's that bloom extremely long from spring until frost occurs. The Jewel of Desert-series consists of all sorts of colours. 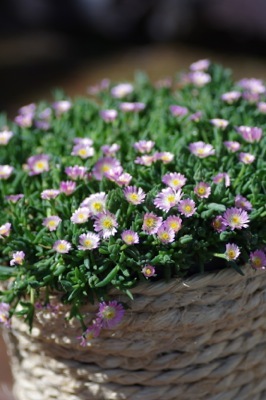 Jewel of Desert Rosequarts has lilac flowers. 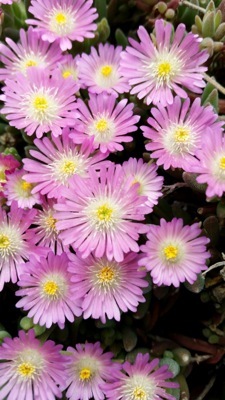 The plant can stand drought very well and is hardy up to USDA zone 5a. Rosequarts is up to 6" high and 12" wide. Loves the sun. "We wish to do something to make the world more beautiful."